How do I view an application submitted for my property? 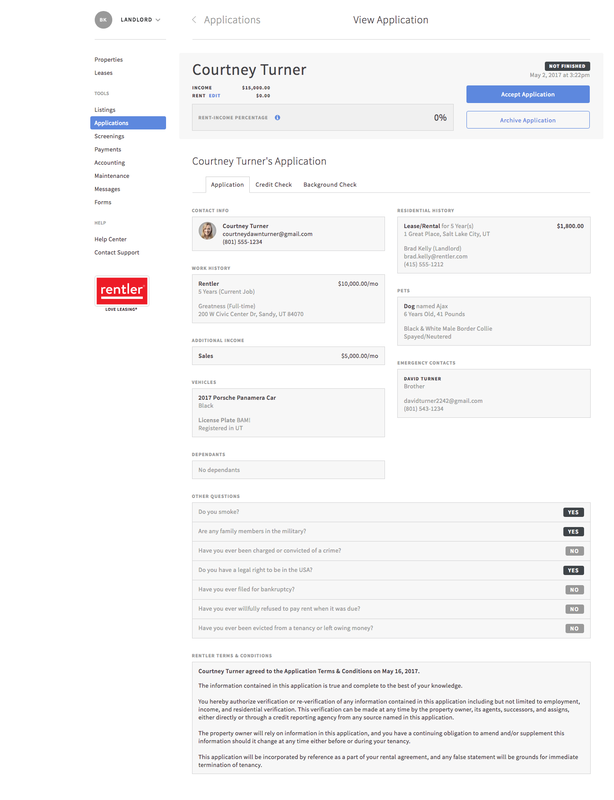 Once applications are enabled for a landlord's property and a listing is live, potential tenants will be able to submit an application from the listing page. 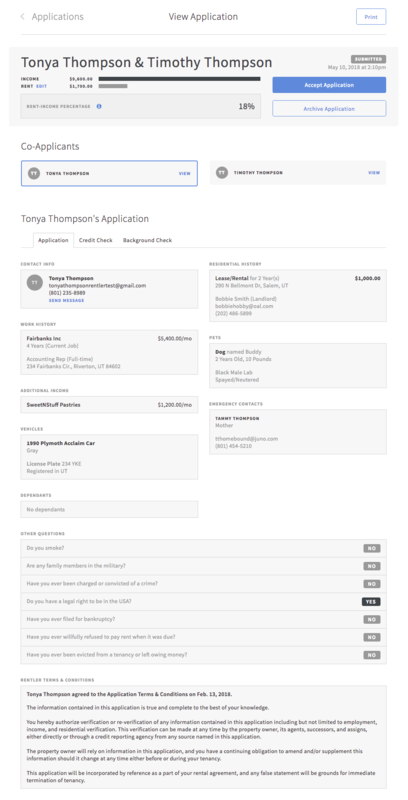 Landlords can also send direct invitations to tenants to apply for their listing in the Applications Dashboard. The landlord can expand the details sections (as seen below) to get more information. If you have any questions about the applications section, catch us on live chat from https://www.rentler.com/ or call us at 1-888-222-1009.